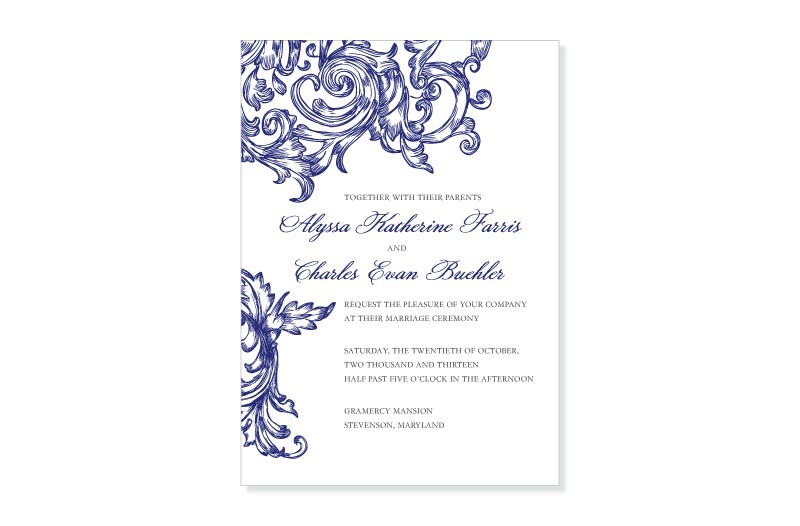 The Ornamental Swirl wedding invitation and response card set in navy blue, dark purple and dark red, features the vintage swirl design from Cecilia Yang. Add an elegant, formal touch to your wedding with the vintage leaf and floral themes on this wedding invitation set. Both are printed on 110-lb cardstock and include matching envelopes.